The totalitarian leader of Germany was Adolf Hitler. Hitler’s main dream was of uniting all German born-only people in a German empire away from other races; from other races that could ’ dirty or contaminate” the “PURE” German blood. On November 5,1937, Hitler’s plans was to obtain Austria and Czechoslovakia no matter what even if it provoked War, as he stated in his very famous quote “ ‘ The German question’ can be solved only by means of force, and this is never without risk”. March 2, 1938-Hitlers first target- Austria- was accomplished. The world saw how one man took over such a defenseless country and did nothing. So Hitler we can say saw this as an invitation to do whatever he wants, and he continued with his invasion. Next target-Czechoslovakia. But this time the world started to notice the wrong that Hitler was doing. Great Britain & France both promised to protect Czechoslovakia. But it was not as easy as it seemed; nevertheless to prevent War, they had to singed the Munich agreement giving up the freedom of another defenseless country. But Germany’s plans of invasion were not done, on March 15, 1938, Germany took over completely of what remained of Czechoslovakia and by night, Hitler’s cold words reached the world “ Czechoslovakia has ceased to exist”. With this words Hitler’s invasion condemned many lives, leading Germany to invade Poland and World War II to begin. Willard Stewart Paul was born in Worcester, Massachusetts on February 28th , 1894. A student at Clark University, Dartmouth: in Massachusetts. After he served in WWI he went through infantry officers school in John Hopkins University; where he got Bachelor of Science degree in 1924. Also he attended American University, 1932 LLD-1958 LLD, Roanoke and Virginia College in 1959. Once retired as Lieutenant General in 1948, president Dwight D, Eisenhower recommended General Willard to become the president of Gettysburg College. Once elected, at age 62 General Willard was one of the eldest presidents and also the first who was not a Lutheran. In his inauguration according to the alumni bulletin of Gettysburg college was “ a colorful and impressive ceremony in Christ chapel with about +400 guest in attendance”. General Willard’s presidency was remarkable, he made many changes to the school ,a lot of new construction was made. One of the very famous dormitories constructed while Willard’s presidency was “ the Charles Stine Freshmen dormitory”. built in 1955. This dormitory got its name because of the very famous and distinguished alumnus and chairman from Gettysburg college. 1956- the student senate was founded by General Willard. Also General Willard’s wife Louella Musselman Paul, was a Gettysburg alumna and was a very successful student. She was honored with the alumni meritorious service award representing her leadership in the school community . General Stewart retired in 1961. His first wife was Ruth Sieurin, they got married on April 14, 1919, they did not have kids. Ruth died on 1953, leading to Willard’s second marriage. He married louella Musselman on August 12, 1958. General Willard is the father of Richard Irving Paul (1921 - 2008).Richard Irving Paul attended Culver Military Academy from 1935 - 1939 one of the teachers in this academy was his own father. He also graduated from Dartmouth College. Willard Stewart Paul fought in both World War I & II. Enlisted in the Colorado field artillery in 1916. He was in the Colorado National Guard. His war career was very successful he started from the bottom and raised to the top. In 1917 he was appointed as a second lieutenant General. He was an instructor of the infantry school 1930-1933. Throughout his whole career he was appointed to many different roles; 1937-1941 he was detailed to the adjutant Generals department. He was the one in charge of all the classification of all military personnel. He also served as the general staff crops as G-4, both headquarters and army ground forces during World War II. He became the commander of the 26th infantry division. He was G-1 of the SHAEF (supreme headquarters allied forces in Europe). Also he served as a deputy chief of staff USFET. 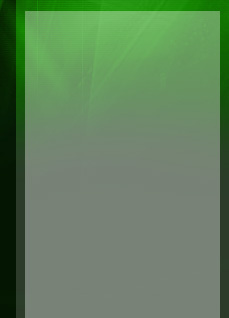 He was one of the personnel for the WDGS. Willard’s main role during both World War’s was in reducing the German salient in the battle of the bulge. He accomplished his mission and was greatly appreciated by his soldiers and headquarters. 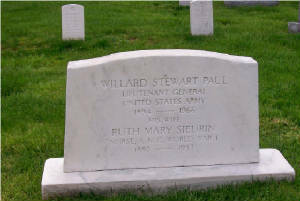 Willard Stewart Paul retired from the army in December 1948. He became a consultant to the American National Red Cross 1948-1050. 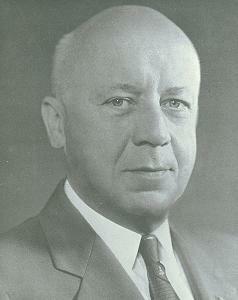 Then he became an assistant to the director of defense Arthur S. Flemming 1954-1956. Then a member of a subcommittee of the Hoover commission, and lastly he became the president of Gettysburg college, from which he retired in 1961. When you initially attacked for seven days and nights without halting for rest, you met and defeated twice your own number. Your advance required the enemy to turn fresh divisions against you, and you in turn hacked them to pieces as you ruthlessly cut your way deep into the flank of the "bulge." Your feats of daring and endurance in the sub-freezing weather and snow-clad mountains and gorges of Luxembourg are legion; your contribution to the relief of Bastogne was immeasurable. It was particularly fitting that the elimination of the "bulge" should find the Yankee Division seizing and holding firmly on the same line held by our own forces prior to the breakthrough. I am proud of this feat by you as well as those you performed earlier. We shall advance on Berlin together. " quote of General Stewart about the battle of the bulge.